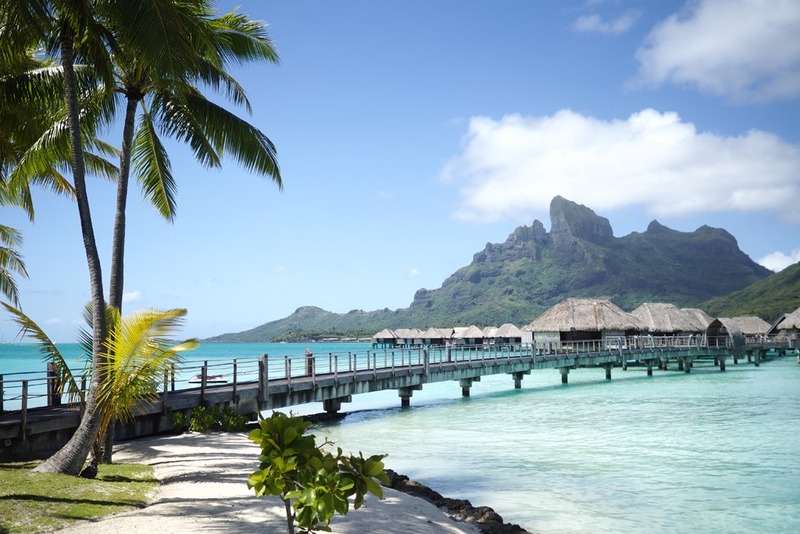 You are here: Home / Destination / Tahiti / Four Seasons Bora Bora, Tahiti: As good as it sounds? From the moment you are welcomed off the plane by warm smiling faces and sweetly scented tropical lays, the holiday begins….Next thing you know you are cruising through the impossibly clear waters on the hotel’s vintage speedboat with fellow linen-clad guests all grinning at one another delightedly. Arriving at the Four Seasons we were welcomed off the boat by the hotel manager & escorted seamlessly to our bungalow for an in-room check-in. We stayed in a one bedroom overwater bungalow that was super spacious with a separate living area, gorgeous bathroom, bedroom area with a full wardrobe and our much adored outdoor terrace with private lagoon access #heaven…. That Mary Poppins moment where you feel like you are living in a picture! The next question people ask is ‘isn’t it exorbitantly expensive?’…well the answer to this is simply ‘yes’. However it is not often that you can be guaranteed the perfect holiday by even the most discerning of standards…So those willing to splash out a little extra hard-earned for that special occasion or simply an unforgettable experience will reap the rewards. I really regret having the most perfect holiday of my life…said no one… ever! subject, but you sound like you know what you’re talking аbоut!